Discussion in 'Designers and Collections' started by xopher215, Mar 31, 2003. Five years after Christy Turlington launched her successful yoga clothing line, the model has extended the range, adding overcoats and jumpsuits to fit the lifestyle of the modern woman. Backed by activewear company Puma, Christy's Nuala label – the name is an acronym for natural, universal, altruistic, limitless, authentic – features catwalk-inspired military looks for the winter 2003-2004 season. 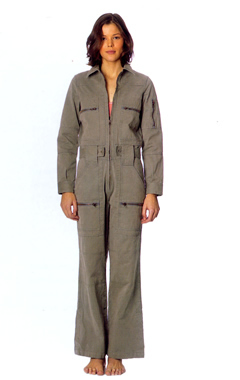 Dubbed "Hyber-nation", the collection still includes the comfy soft trousers, hooded tops and slip-on shoes that have made Nuala a commercial success. For winter the pieces are available in a palette reflecting natural elements, including "frost" – a winter white – as well as crisp blue "icicle" and blush pink "crocus". 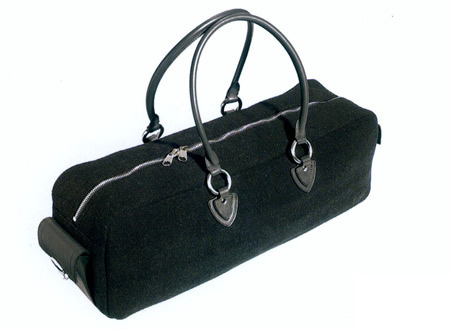 One highlight of the collection is the Marc Jacobs-designed "Christy" yoga mat bag, which comes in dark grey or slate blue wool. Fifty per cent of the proceeds from the stylish accessory will be donated to Cancer Care, a not-for-profit organisation which provides support for families affected by the disease. 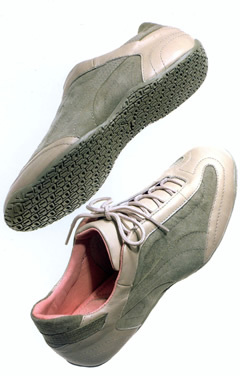 Lèna, you should go to the nuala.puma.com website and request the nutopia : a spring collection 2003 mailer. It's a cute little package and a sort of mini-catalogue with some great Christy shots to boot. The black ones are cool too! I like her clothes! I recently discovered they actually sell them here.. even though it's only the Fall 2002 collection.. I don't care.. it's better than no Nuala at all!